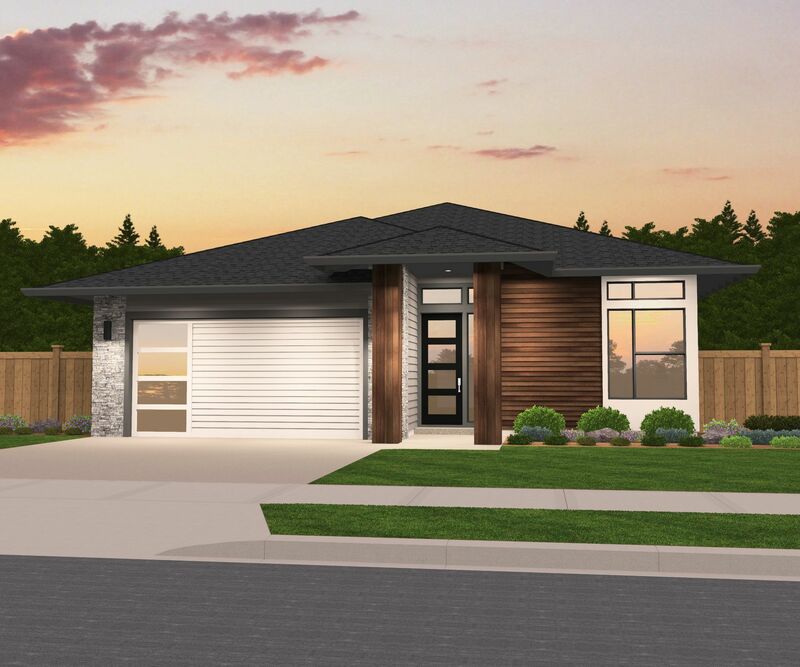 A Northwest Modern One Story Small House Plan with garage, and paired with a unique and very popular floor plan. Through the foyer you’ll find one of our signature Casitas, a very flexible space which can be used for virtually anything, and is complete with an adjacent full bathroom, making this an ideal space for an office, den or guest suite. From there you arrive at the dining room (complete with 12 foot ceilings) which leads elegantly into the large open kitchen and great room (also 12 foot ceilings). The great room leads to the spacious 20’x8′ outdoor living space. Adjacent to the great room is the master suite, featuring a walk in closet, his and her’s sinks and bathtub. Through the hall off the dining room you will find the two additional bedrooms, a full modern bathroom and the utility room. 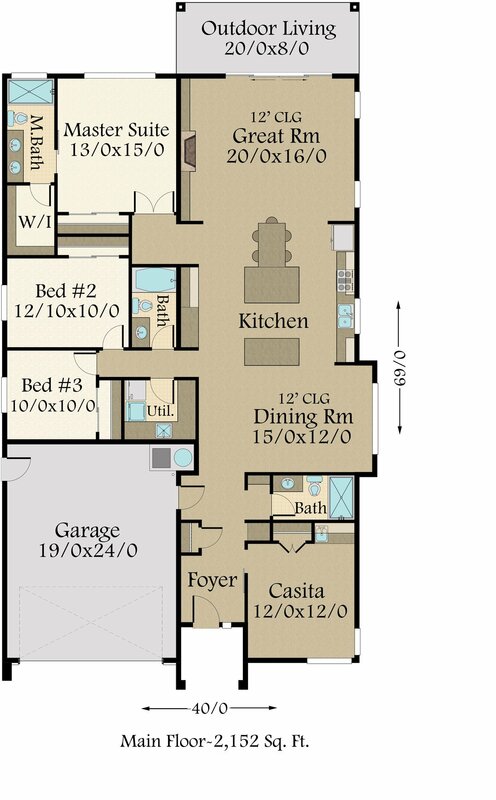 All of this in only a 40 foot wide small house plan.